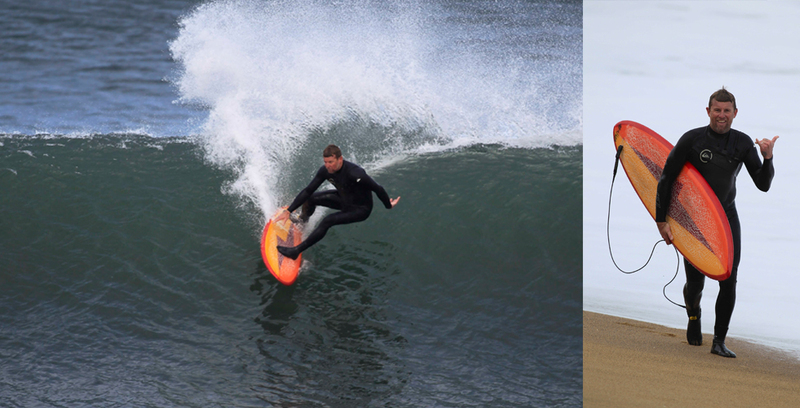 Here’s a couple pics that got sent through of Hoyo riding one of our single fins at Torquay, Vico. The board is a collaboration of Webby’s shaping & Matt Yates’ glassing. Sick old-school shape & artwork. Looks like Hoyo had a blast! This entry was posted in General by franky. Bookmark the permalink.